There was a time when working on a ship was seen as something to do if you couldn’t get into the West End. 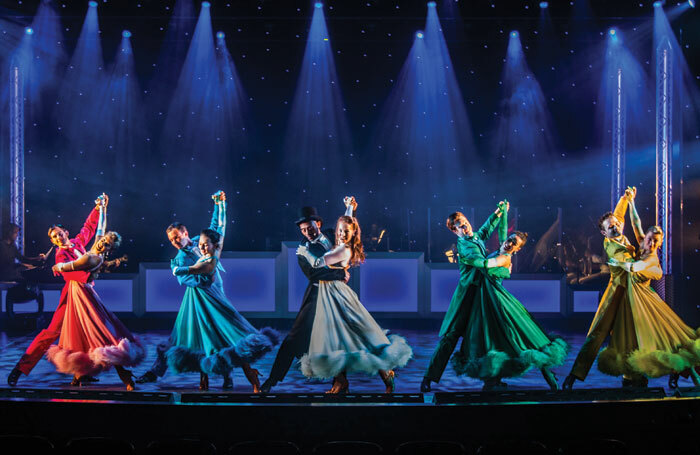 But in an effort to attract new passengers, cruise lines are now staging Broadway and West End musicals at sea in state-of-the-art theatres to rival anything on land. You’ll find Cats, Rock of Ages, Legally Blonde, Saturday Night Fever, Chicago, Mamma Mia! and We Will Rock You – all on-board luxury liners. Large cruise ships employ around 200 entertainers including dancers, singers, acrobats, divers, ice skaters, character performers, youth staff, musicians, sports staff and supporting technicians. So is it time to consider working on a ship? Will your agent support you? Will you be taken seriously by casting directors when you return? Egged on by Simon Cowell, some people in the industry still think that cruise ship entertainment is dated, unimaginative and, well, cheesy. I’ve spoken to casting directors who wouldn’t dream of sending their acts to sea. They worry about working conditions and everyone forgetting them. You’d think they were being exiled to a Siberian gulag. But, if you’ve decided to take the plunge, what can you expect once you get on-board? A typical day in the life of a cruise-ship entertainer consists of getting up at noon, having lunch in an Italian port, sunbathing for an hour or two, maybe nipping to the gym, taking a little nap before a lavish dinner and enjoying a few drinks before bed. Occasionally, you might have to do a show or two. On the other hand, due to maritime law you will find a high level of discipline. You eat at set times, attend regular drills and have mandatory cabin inspections. You’re on show 24/7, so the way you conduct yourself offstage is as important as what you do on stage. If you don’t like rules and regulations this is not the job for you. You might also be away from home for seven or eight months at a time, and keeping in touch with friends can be expensive. Not all cruise ship contracts are alike, so do your research and read your contract carefully. You may be required to share a cabin, host quizzes or help out in the library. If all those rules and long contracts are putting you off, there is another option – be a guest entertainer. This is for singers, magicians, instrumentalists and comics – anyone with their own show. Most lines will require you to provide two different 45-minute shows. You’ll have the ship’s house band at your disposal and all the technical elements to give your show real production value. Of course, you’ll need to create your own show first, but even for established acts, cruise ships present unique challenges. Audiences can be very mixed: young families on a budget, retired executives and people from all parts of the globe with their own cultural references and languages – each with their own idea of what constitutes good entertainment. Your show must appeal to everyone and alienate no one. On the plus side, you’ll be treated as a guest and be able to have plenty of time to see the sights and enjoy the guest facilities. Thriving on a ship is easy if you’re sociable. Every new contract is a chance to make new friends. You’ll get to know the staff, the band, the technicians and of course meet the guests. It’s a lot of fun. In no time, your Facebook will rival a United Nations delegation. If you’re a guest act, my advice is to spend your first few days on-board observing your audience. Note the age group and nationality mix, and be prepared to change your act to suit your audience. There was a time when cruise-ship entertainment meant cheesy crooners and low-budget review shows. Not any more. The quality, scale and diversity of cruise-ship production shows now presents an exciting alternative to work on land. You’ll hone your skills as a performer, travel for free and make friends from all over the world. Salaries are comparable to the West End, and since board and lodge is paid for it’s a great way to save money. One word of warning though: if you’re prone to sea sickness, don’t apply.